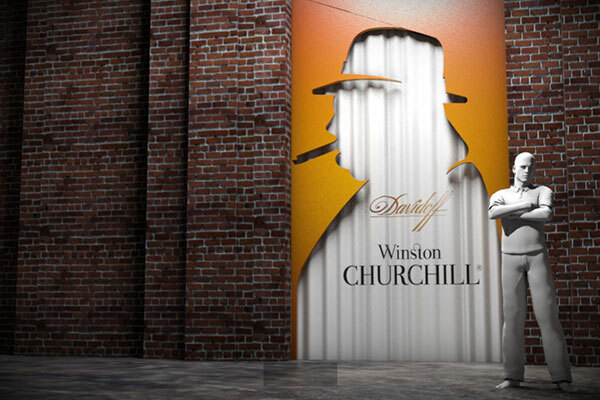 D a v i d o f f.
Davidoff came to us to create an environment to launch their latest cigar line, inspired by Winston Churchill. 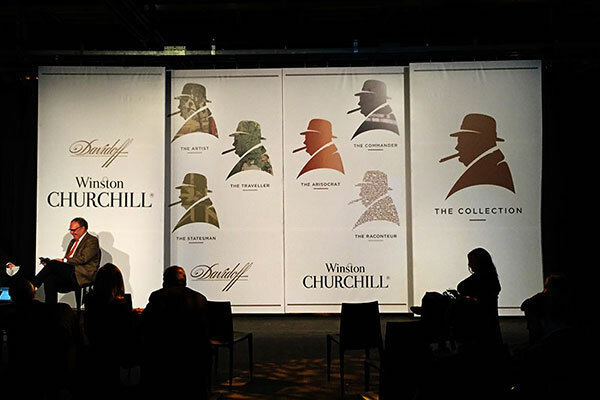 As part of the launch, they required a space for cocktails, presentation, and lounge/afterparty. 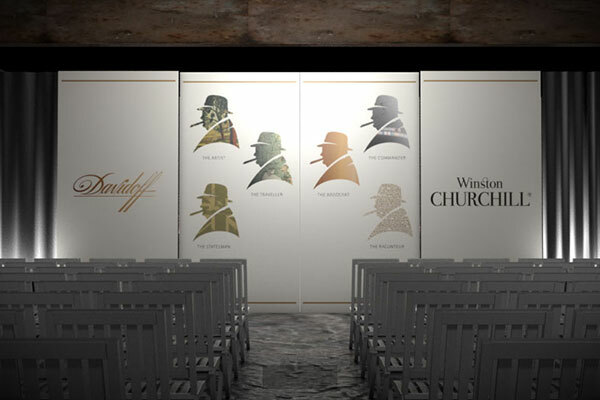 We used the natural break in the architecture to create separate rooms for cocktails and presentation, and then constructed a series of traveling panels to serve as a backdrop for presentation and a reveal for the lounge. 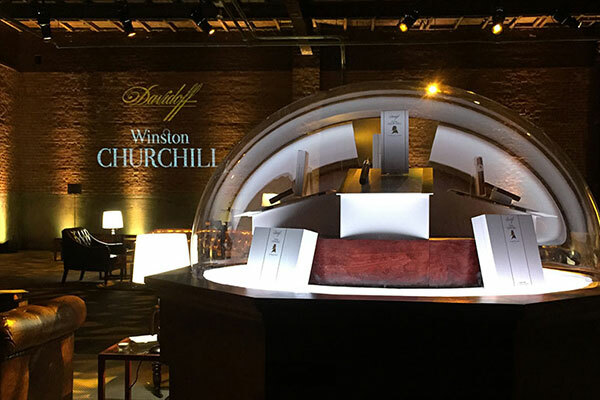 Levels of branding and product placement were key in creating the impact Davidoff was seeking, and guests were able to experience the cigar and learn about it's complexities. 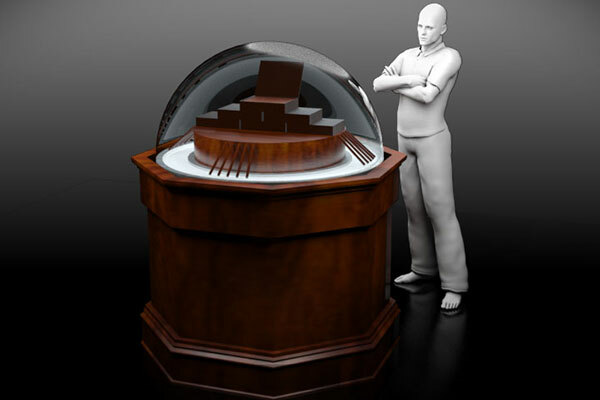 The design and execution gave the client multiple opportunities to express the stories behind the product as well as showcase it's many forms. 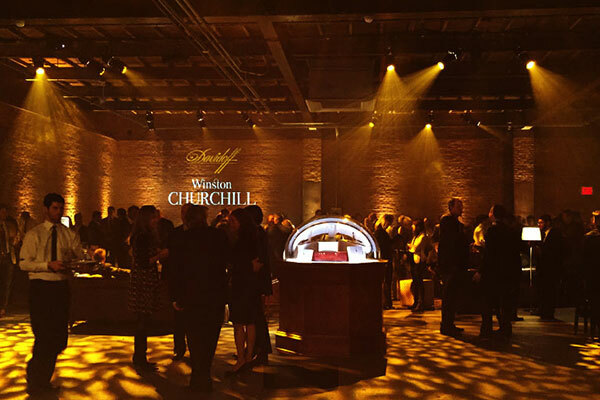 Guests were immersed in education and experience through a series of intimate executions.